Urban hiking is no walk in the park. Somewhere between a gentle stroll and a spirited parkour session, urban hikes transform city streets, stairways, and sidewalks into metropolitan trails laced with both natural and cultural landmarks. Generally, the goal is to map a route that manages some elevation gain and takes advantage of whatever green spaces or nature retreats a city has to offer, all while keeping a brisk enough pace to get in a solid workout. Not all cities are particularly walkable, let alone hikable, but several of America’s major metropolises seem to have been designed with urban hikers in mind. From coast to coast, parks to parking lots, these are the top cities in the United States for epic urban hikes, whether that means following a preexisting trail or forging a path of your own. There are just shy of 500 parks within Seattle city limits. 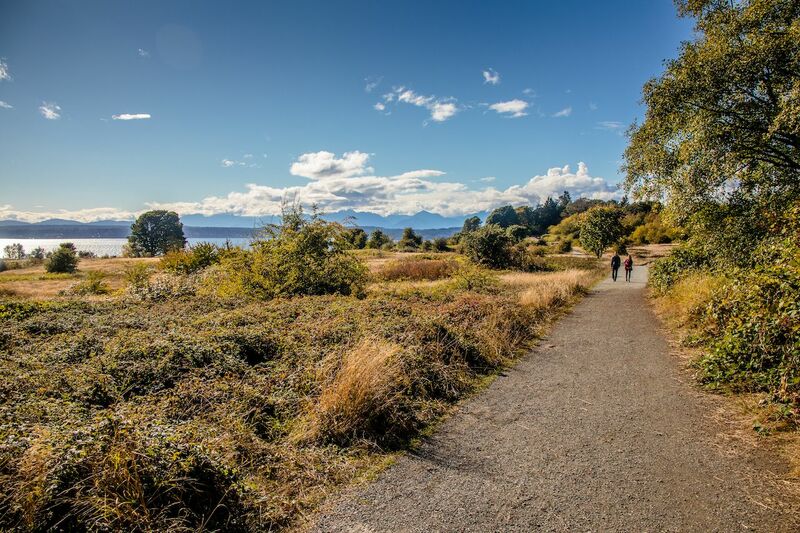 The largest is 534-acre Discovery Park, which alone offers over 10 miles of trails. Its eponymous loop trail spans 2.8 miles of woods and meadows with an optional beach loop that nearly doubles the hike. More trails await at local-favorite Seward Park and the 230-acre Washington Park Arboretum on the shores of Lake Washington. Download the Seattle Trails app for an overview of the city’s official hiking trails. If, on the other hand, you put the emphasis on “urban” rather than “hiking,” you’ll be happy to learn that there are even more public stairways than parks to explore in the Emerald City. At 13 flights and 388 steps, the Howe Street Staircase in Capitol Hill is the longest — start there. It’s easy to work up a sweat in LA, even without hot yoga. The majority of the city’s sunny days see Angelenos head for the Hollywood Hills in their finest athleisure to hike Runyon Canyon, often with a dog in tow, and snap a few selfies for the ‘gram. At the top is a view of the city that, with a little help from the endorphins, almost endears you to LA’s infamous sprawl. 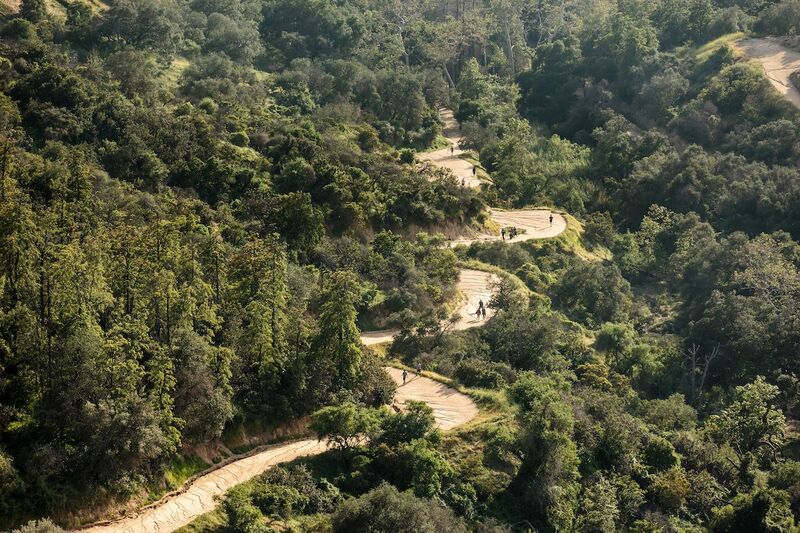 Across the highway in Los Feliz, Griffith Park is a beast of a green space with dozens of trails and more than 50 miles to cover. Hike up 1,625-foot Mount Hollywood or set your sights on the Hollywood Sign, ironically located on Mount Lee. Either way, set off from the Griffith Observatory, which is as nice a spot for gazing out over the LA Basin as it is for stargazing. Chicago’s famous for its calorific pizza style and signature hot dogs, but don’t sleep on the third most populous city in the US when it’s time to get in shape. The crown jewel of the urban hiking scene is the Chicago Lakefront Trail, where city meets nature on the shores of Lake Michigan. 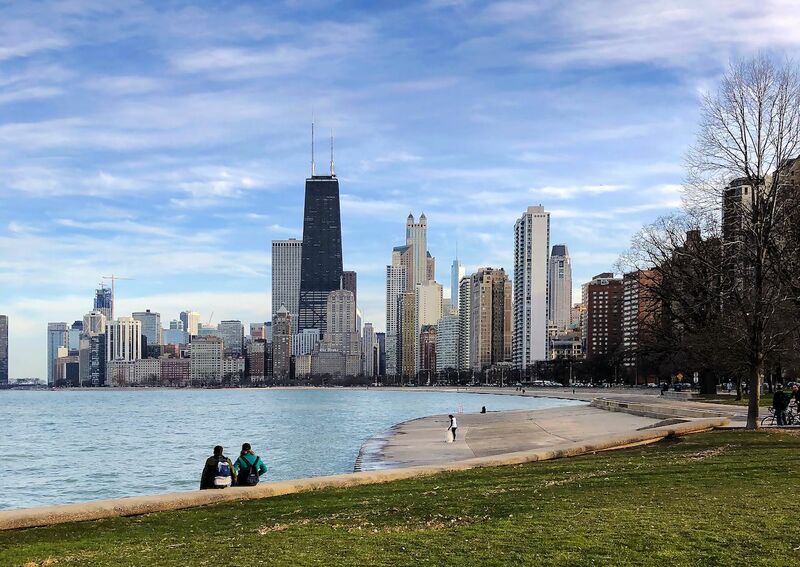 The trail passes Grant Park and Millenium Park, landmarks like Buckingham Fountain and the Art Institute, and some of the Windy City’s nicest neighborhoods over its 18 miles, plus plenty of casual eateries if you’re feeling an urban picnic a few miles in. From there, head to Northerly Island for a quiet retreat. Follow walking paths to the Adler Planetarium and continue on to the other side of the grassy peninsula. Then, on the way back to the city center, squeeze in a quick tour of Soldier Field, the Field Museum, and the Shedd Aquarium, all of which are a stone’s throw away. Austin is committed to keeping its residents active with 30 miles of existing urban trails and hundreds more on the way. 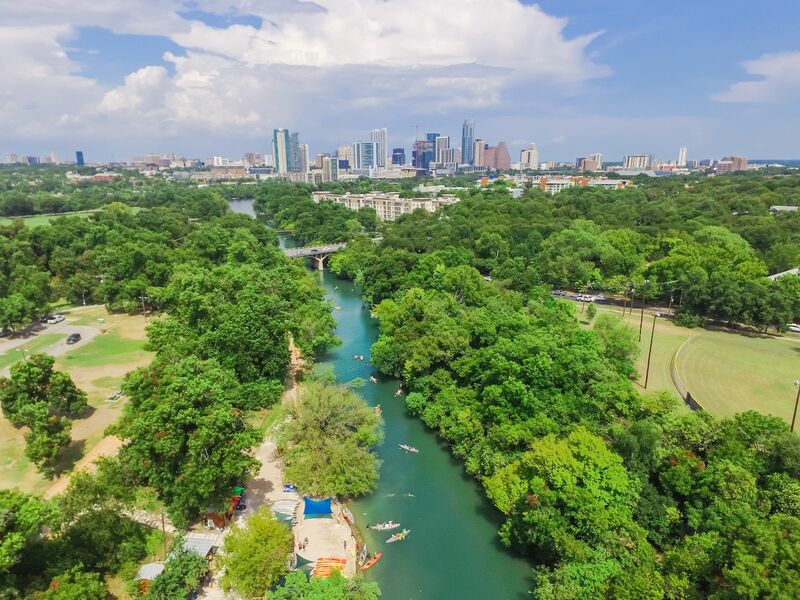 Downtown, the Ann and Roy Butler Hike and Bike Trail skirts 10 miles of Lady Bird Lake, complete with a buzzing boardwalk, bushy green trees, and panoramic glimpses of the city’s skyline. Away from Austin’s skyscrapers, the Barton Creek Greenbelt is not only great for hiking but also rock climbing, mountain biking, and combating the Texas heat in swimming holes; understandably, it’s probably the busiest nature escape in the city. Add in the three-trail system at McKinney Falls State Park, which includes the 4.9-mile, history-centric Tejano Walking Trail that weaves through the East Cesar Chavez and Holly neighborhoods, as well as the more challenging, dog-friendly River Place Nature Trail, and Austin is an urban hiker’s dream. Portland and Seattle have more in common than coffee shops on every corner: Like its neighbor to the north, Portland is a city of hidden stairways. There are 11 alone tucked between houses in the Alameda neighborhood, the site of a 4.4-mile urban loop aptly called the Alameda Ridge Trail. Hikers will get some elevation up on the ridge, a perfect spot to look out over downtown and the West Hills away from the bustle. 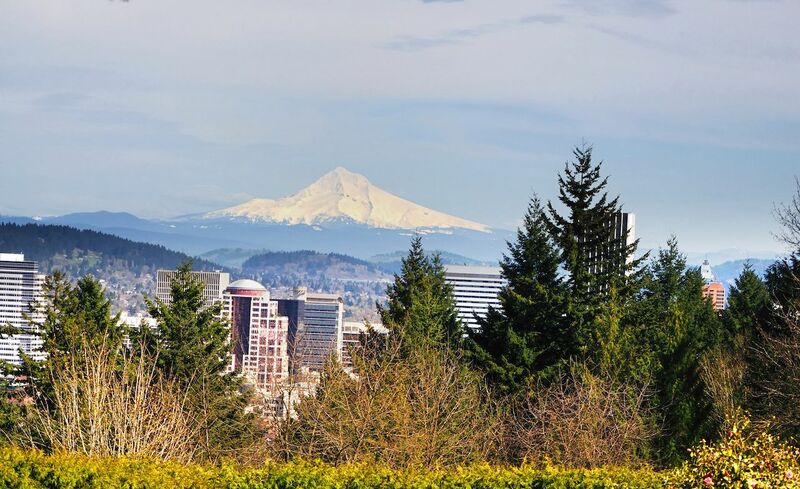 Urban hikers also like Washington Park, where they can choose between self-guided tours of the Hoyt Arboretum’s 189 flora-filled acres and the Wildwood Trail, which rewards with forest stretches and mountain views. A love of hiking is practically a prerequisite to live in the Bay Area. Even the tech transplants who’ve overtaken SF have learned to love the city’s unofficial pastime, especially because hiking in SF doesn’t have to mean actually leaving the city. Roughly seven miles by seven miles, San Francisco was made for urban explorers, who are among the few that don’t complain about its brutal hills. A weekday jaunt down the coast from the Land’s End labyrinth to Fort Funston’s sandy bluffs is usually enough to hold locals over until they can get to Tahoe. You can also take a flat walk along Crissy Fields, an old military airstrip at the foot of the Golden Gate Bridge that has been restored to wetlands. Closer to downtown, a hike through the Twin Peaks neighborhood and up its namesake hills yields breathtaking panoramas, much like the view from Coit Tower, which can be accessed by a somewhat secret staircase known as the Filbert Steps. 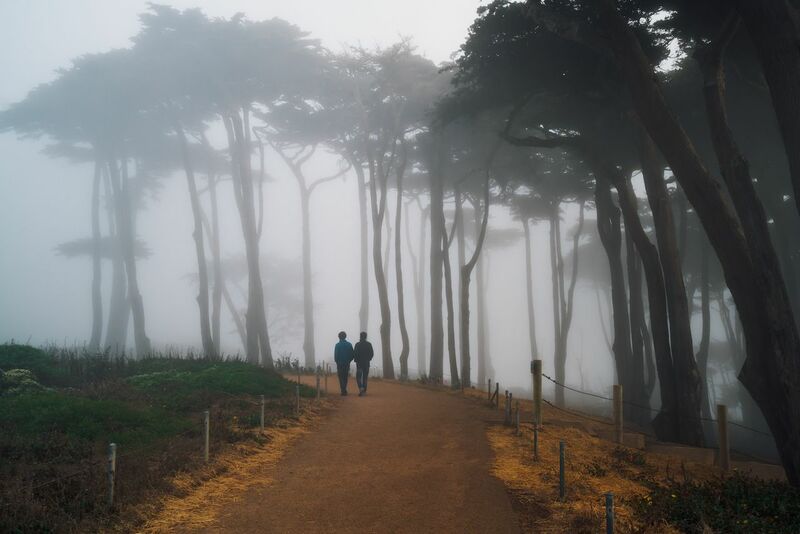 Also not to be missed are the stairs that run up and down steep, twisty Lombard Street, and 1,000-plus-acre Golden Gate Park for that perfect mix of city and nature. 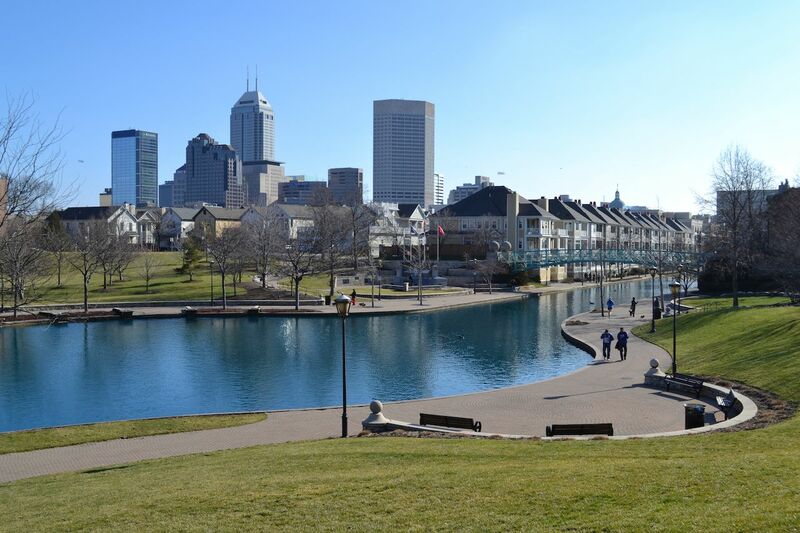 Indianapolis encourages visitors and locals alike to lace up their walking shoes and get to know downtown the healthy way on the Indianapolis Cultural Trail, which connects six core districts across eight miles. Monument Circle is a popular launching off point, particularly to warm up with the 330-stair climb to the observation level of the Soldiers and Sailors Monument. To see the city’s cultural side, keep an eye out for public art displays along the trail and hang around the Mass Ave arts district a bit longer for galleries, theaters, eateries, and more. On the other hand, you can just as easily map an urban hiking route from wherever you’re staying to Eagle Creek Park, a massive municipal park just 10 minutes away by car or a half-day hike from downtown Indianapolis’ Mile Square. NYC is a concrete jungle, and like any jungle, it’s best discovered on foot. If you only have time for one urban hike in the Big Apple, head straight for Manhattan, specifically the High Line, an almost two-mile-long park elevated high above the West Side on the site of a former rail line. 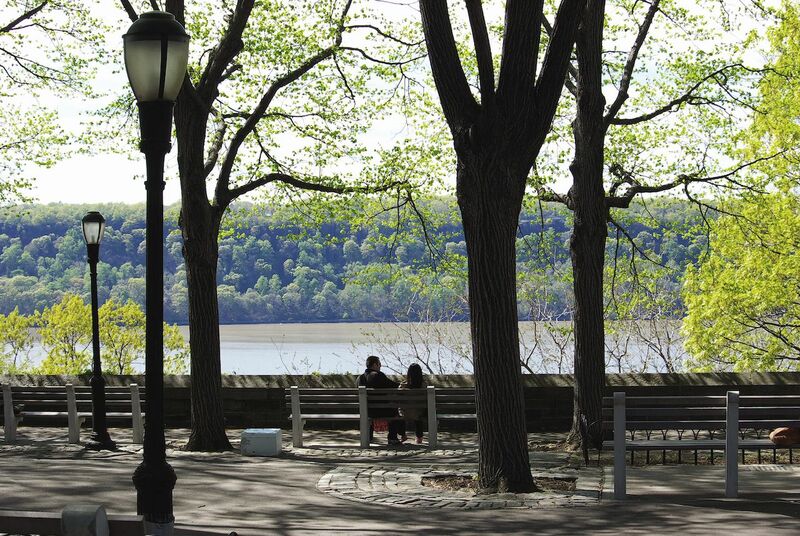 Central Park is within hiking distance, but don’t overlook the Ravine in Brooklyn’s Prospect Park for a glimpse of the city’s only forest, or Fort Tryon Park in upper Manhattan for a hike with Hudson River views that detours at The Cloisters museum. Urban hiking is as much about navigating busy sidewalks and intersections, crossing bridges, and cutting between skyscrapers as it is trying to summit a city’s highest points, making NYC prime real estate. Rather not walk alone? Join more than a thousand fellow hikers on the Great Saunter, a 32-mile hike along the NYC waterfront, this year held on May 4.